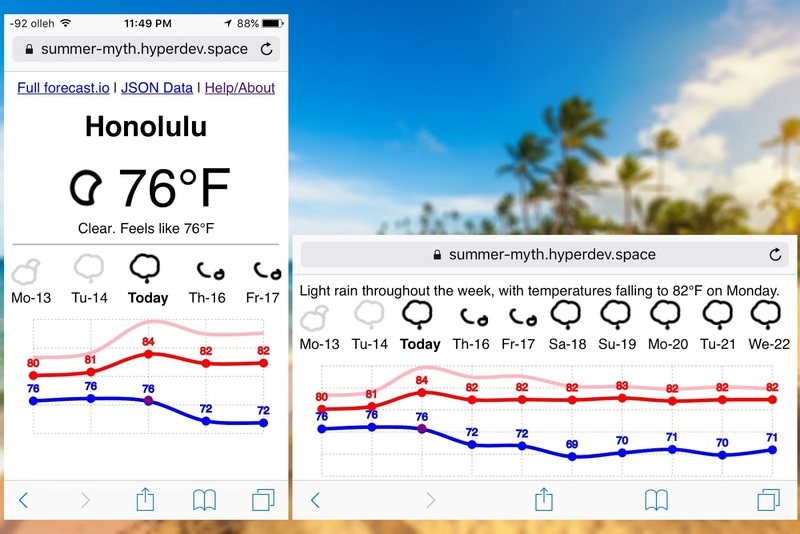 Screenshots of my new web app, HyperWeather, in action. "Is it warm enough for short sleeves?" "Do I need sunscreen? An umbrella?" HyperWeather also helps you get an intuitive sense of the temperature. Numerical temperatures are difficult to judge especially if you travel to a country with a different climate and/or different unit of temperature (Fahrenheit/Celsius). If you need more details than this, a link at the top leads to the full forecast.io in all its glory. Wait, historical weather in a forecast? Historical data is actually incredibly useful for intuitively understanding the forecast temperature. Yet most weather apps don't show weather history. Even those that do don't show historical data and forecast data at the same time. Any other features unique to HyperWeather? 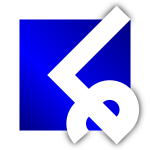 HyperWeather's date format is also unique. "We-15" means Wednesday (June) 15th. This is a compact date format I prefer for "nearby" dates. The month and year are dropped because they are not important in this context. Instead, this format provides both day of week and day of month because the relation between the two isn't very intuitive. Often you can easily think of one, but not the other. There are two sets of temperatures graphed on the temperature chart. The lighter lines show the "feels like" temperatures. The current temperature is also plotted, as a purple dot. Can I see the HyperWeather source code? Sure! Just go to: hyperdev.com/#!/project/summer-myth. You can even "remix" your own version.